Try to do one thing at a time. If you’re checking your email, stay focused on that until you finish. If you’re doing your accounts, give yourself a set amount of time to only work on that task before moving on to something else. And if you find that you struggle to stay focused on one task for very long, then simply give yourself a set amount of time to work on that one task. It’s better to set a timer for 15 minutes to check email than to get immersed and suddenly find an hour has passed. Staying focused on one task at a time really does make all the difference to your productivity levels. #2 – Write a list. Lists can be a very positive tool when used correctly. The trick is to write a realistic list of the things you would like to accomplish during each day. If your list is unrealistic and includes too many tasks, you’ll only feel disappointed when inevitably you haven’t checked off all the tasks at the end of the day. So stick to a small, realistic and succinct list. You can always add more to it if you’re very productive on a particular day. Once you have your list then take it one task at a time. Stay focused on each individual task until you finish, then notice how great it feels to check it off your list. #3 – Take a break. Now this may not seem very productive at first glance, but did you know that people who take regular short breaks tend to be more productive than those who stay chained to their desks? A quick five to ten minute break every hour or two will help you recharge your batteries and get your energy levels flowing again. 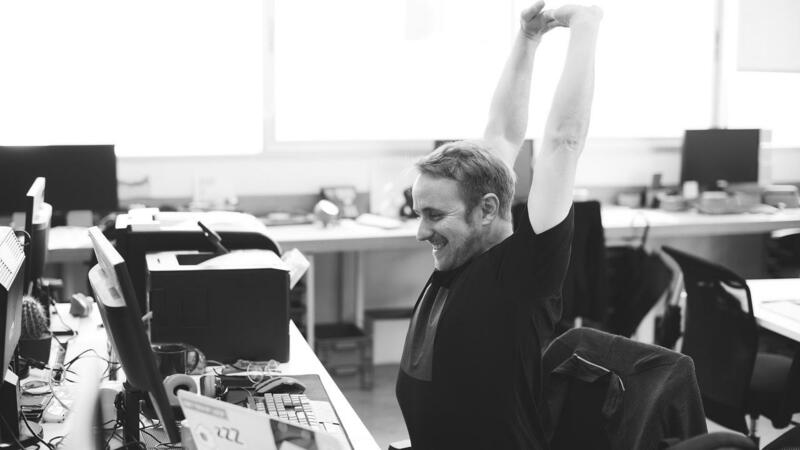 During the time do anything that makes you feel better, but ideally you’ll want to completely step away from your desk and do a few stretching exercises. A few deep breathing exercises wouldn’t hurt either. Taking a quick two to three minute stroll will help you feel energized and ready to focus on work once again, even if it is just to get a glass of water. It’s a well-known fact that dehydration can lead to sluggishness and simply feeling “not quite right.” Avoid this by regularly drinking water throughout the day. Staying focused and productive can be simply a matter of breaking down large tasks into manageable chunks. It’s easier to do this when you set realistic goals for yourself and stay on track by writing a to-do list that, again, is quite realistic. Taking care of your health and putting time aside to have regular short breaks will also help your productivity and energy levels overall.